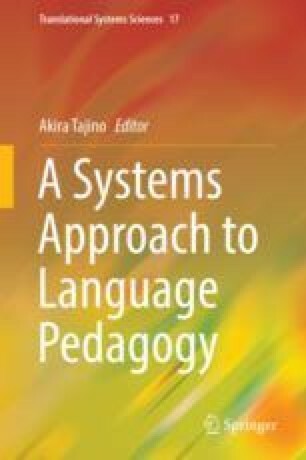 This chapter examines the application of instructional systems design (ISD) in language pedagogy. ISD, a systematic approach to analyzing, designing, developing, implementing, and evaluating instruction, has been suggested to provide clear step-by-step models to instruction, thereby assisting instructors in the effective and efficient conveying of information and promotion of learning. Attempts at introducing ISD into language pedagogy have generally been praised in the literature of applied linguistics. On the other hand, some criticisms of ISD have surfaced in the field of general education, including the idea that ISD is too systematic and rigid and cannot account for the human element in the classroom. In this chapter, we revisit ISD in the language classroom, through review of a case study application of one iteration of ISD (the ADDIE model). Through examination of the theory and the case study present, we suggest that in language course design, it is beneficial to first take a rigid, systematic approach to course design, and rather it is in the implementation of the course that individual units necessarily have a degree of flexibility. We propose that a “softer” approach to ISD might be applied to the implementation of ISD in a language course, allowing for both a guided approach to instruction and the flexibility required in human interaction systems.